This project brings together learners, educators, Government officials, Microsoft employees and industry experts to highlight the importance of entrepreneurial skills in the 21st century. YouthSpark Live is a forum that Microsoft and Quest Alliance created to introduce youth to technology, employment best practices and entrepreneurship incubation. YouthSpark Live India has supported hundreds of young people and youth facilitators from across the country in planning their own future, identifying opportunities in the region and the solving the critical social issues through venture ideas. Quest Alliance helped conceive and implement YouthSpark Live India programs in Bengaluru, where young people could interact with Microsoft experts and mentors, and get a glimpse of the latest Microsoft technologies. In India, the YouthSpark Live program has successfully completed four phases. 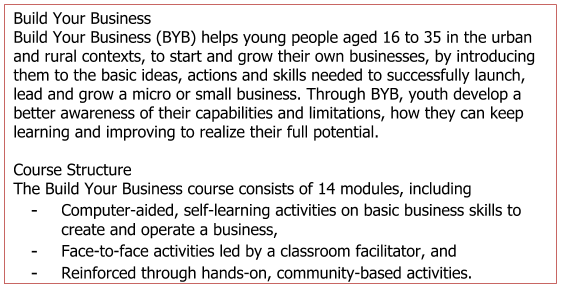 In its fourth edition, the program looked at helping young people and youth trainers discover the skills and knowledge required to start a business as well provide resources and opportunities available through Microsoft for such learning. The fourth phase also saw the launch of the Build Your Business program.